Out with the old and in with the new. A new kitchen is awesome but it can be a stressful project. Since you don’t like stress, let us help complete your vision for the central room of your home. 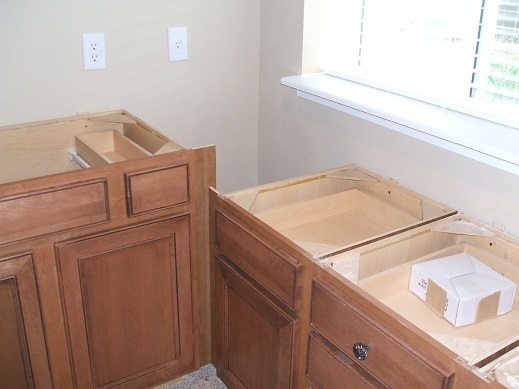 We install your box cabinets, ready to assemble cabinets or your custom made cabinets. Box cabinets. This means NO ASSEMBLY REQUIRED. These are sold in the big box stores and come in standard widths. Not much in the way of customization but great for a tight budget. Ready to assemble cabinets. These are sold online and locally. They come in a box which means assembly is required. Not really any customization but less expensive than custom made cabinets. If you plan on putting these together and installing them yourself, this can be a good way to save money. 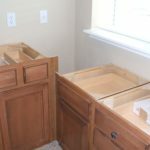 Custom made kitchen cabinets. Lots of customization but they do cost the most. 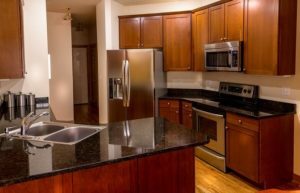 Installer is doing Crown molding, garbage disposal, microwave, dishwasher, knobs or pull. Fill out the form below to get an estimate for your kitchen. 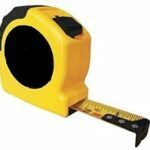 We also offer kitchen cabinet measurement services, so you have accurate measurements for your planner or designer. This is very important because you don’t want any surprises that will hold up completion. Few things irritate the lady of the house more than a messed up kitchen! Decide how much you want to spend for the entire package. This includes the cabinets, counter tops, sink, garbage disposal, appliances, faucets and labor. Determine what kind of counter tops you want- laminate, solid surface, concrete or granite.